Just in time for Thanksgiving in the US, its time to give thanks for the tennis players who kept it Glam and aced 2013. Sure, some of these players also appear on the Fashion Fault List. Thankfully some were able to redeem themselves and wind up on the best dressed list. 1. Ana Ivanovic looked perfect at Roland Garros this year. Maybe she makes a special effort to create Glam Looks in Paris because she's a former French Open Champion? 2. 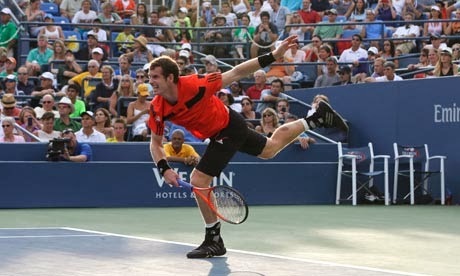 Andy Murray followed up his Wimbledon title by looking splendid under the lights in NYC at the US Open. Red definitely suits the reigning Olympic gold medalist. 3. Fist pump for Novak Djokovic's minty green Uniqlo shirt. 4. Rafael Nadal Glammed Up his look for the end of the year and made up for his US Open outfit catastrophe. 5. Laura Robson looked old-school and lovely in Adidas at Wimbledon in 2013. 6. 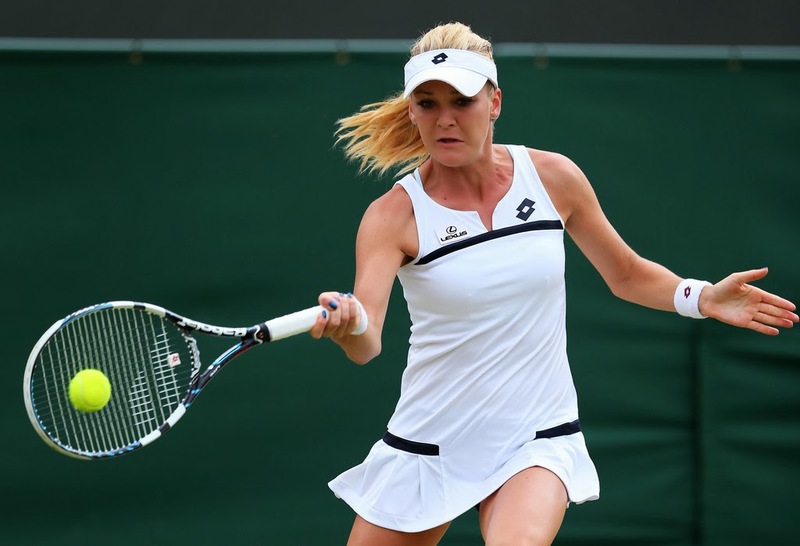 Aga Radwanska's Lotto dress rocked. The cut and style of this dress is incredibly flattering. 7. Alize Cornet looked fantastic in Lacoste at Roland Garros. This drop waist navy dress proved to be super flattering on the young French player. The red accouterments sealed the deal on this Glam Look. 8. 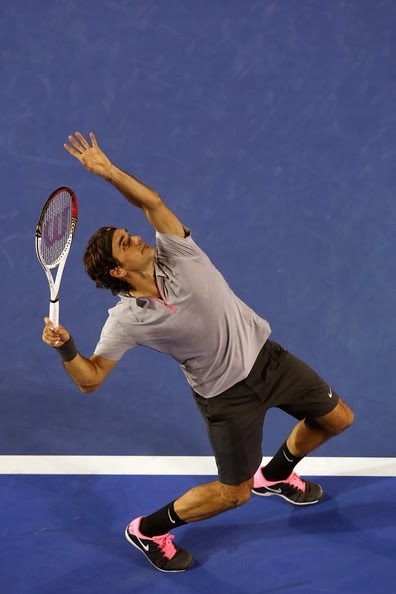 Roger Federer started out the year strongly at the Australian Open by boldly wearing a grey outfit which was Glammed Up with hot-pink laces and stitching. 9. 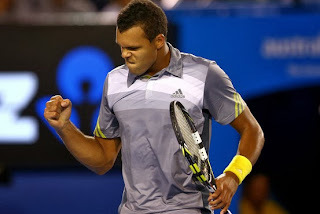 Jo-Wilfried Tsonga's Adidas kit jazzed up the yellow look that's proven to be so popular on Melbourne's blue courts. 10. 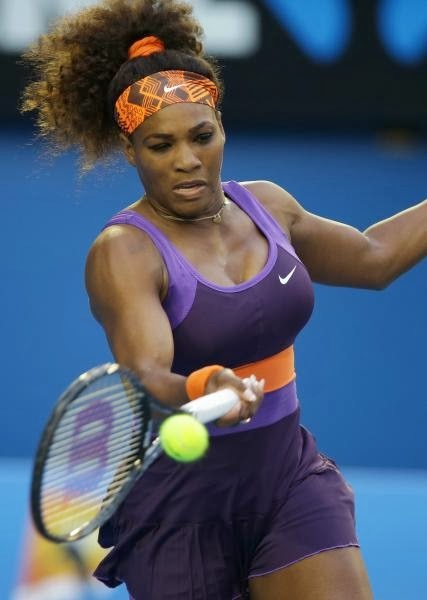 Serena Williams' fun purple and orange pairing was one of many glam looks she wore in 2013. This dress was flattering and also managed to hide her sports bra! The orange printed bandanna and orange head tie make this a Glam Look from head to toe.